Kristian Fraga’s ‘Severe Clear’ looks at the early days of the U.S. invasion of Iraq, as captured by Marine 1st Lt. Mike Scotti. A Sirk production. Produced by Marc J. Perez, Kristian Fraga. Executive producers, John L. Sikes, Benjamin Charbit. Co-producer, Sehban Zaidi. Directed, written, edited by Kristian Fraga. 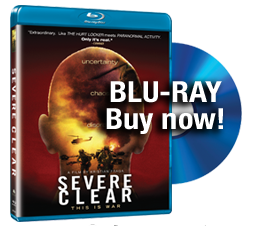 Documentary filmmaker Kristian Fraga’s “Severe Clear,” composed almost exclusively of camcorder footage shot by Marine 1st Lt. Mike Scotti, is a jarring, no-holds-barred first-person diary of his experiences during the first months of Operation Iraqi Freedom. Oddly, the very specificity of the timeframe recasts the invasion in present-tense immediacy even as it renders it more abstract, plunging the viewer into war’s uncertainty and chaos. Opening Friday at Gotham’s Angelika Film Center, Fraga’s sophomore outing (after “Anytown, USA”) may briefly ride the Oscar-winning coattails of “The Hurt Locker,” with which it shares an ambivalently apolitical perspective. Among the first soldiers to enter Iraq in 2003, Scotti covers the deployment of his division from its departure on the USS Boxer, the troops’ 40-day ocean crossing, their training on the Kuwait/Iraqi border while awaiting President Bush’s go-ahead (seen as a foregone conclusion), the 300-mile advance on the capital, the capture of Baghdad and its disillusioning aftermath. A 2004 coda rejoins a reflective Scotti in New York several months after his tour. In other soldier-shot docus, such as “The War Tapes,” cameras were supplied by the filmmakers with a finished film in mind. “Severe” claims a different production history: Scotti, a veteran of the first Afghanistan campaign, deliberately set out to document the Iraq War for a book designed to show civilians the true nature of combat (the tapes were turned over to Fraga more as an afterthought). In the film, Fraga supplements Scotti’s on-camera comments with voiceover excerpts from his journal. 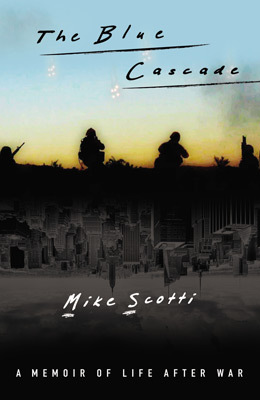 Scotti enters the conflict with a personal grail — a picture of a girl who sat beside him in high school, killed on 9/11. He believes any questions about the justifiability of the war will be answered once they find the elusive weapons of mass destruction. By the film’s end, he must constantly remind himself that he has no choice but to do his best to protect his buddies. Certainly Scotti makes no attempt to glamorize fellow warriors (who remark on how cool it feels to kill live targets), nor to dramatize their deaths. Nevertheless, it becomes clear that within the constantly shifting, ambiguous theater of war, Scotti’s one rock-solid allegiance is to the Marine Corps and the men who serve it. With stunning immediacy, pic captures abrupt switches in tone, from discomfort and boredom to an attendant thirst for action, from adrenaline-fueled combat highs to the terrible difficulty of differentiating between civilian and foe. At the same time, the Marines’ experiences are layered with overheard news broadcasts (some from source sound, others doubtless interpolated by Fraga), including inflammatory speeches by Bush and Secretary of Defense Donald Rumsfeld that ring increasingly hollow in the disintegrating chaos that is Baghdad. Scotti’s amateur camerawork proves strangely compelling, both for its virtually unreadable swirling action in the heat of battle and for the eerie beauty of the red-streaking rockets and emerald-green night-vision. Fraga’s occasional music-driven montages, far from imposing an artificial aesthetic, condense the impression of unflinching fidelity to what’s in front of the lens. Camera (color, DV), Mike Scotti; music, Cliff Martinez, sound, Caleb Bowers, Bob Dziemian, William Enrico. Reviewed on DVD, New York, March 6, 2010. (In 2009 Rome Film Festival). Running time: 93 MIN.